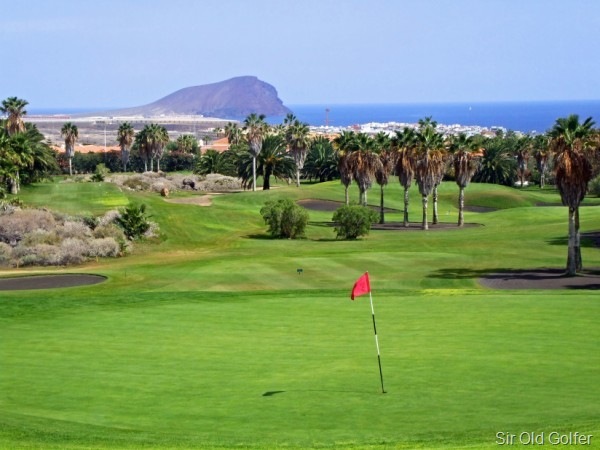 This Saturday the 11th September sees the “Grand final” of this years golf circuit being held at Golf Del Sur Golf Course a wonderful championship course in the South of Tenerife. So far this summer we have played 7 matches on the circuit covering all the major courses on Tenerife and the Island of La Gomera with an average of 140/160 players in each tournament. The grand final at Golf del Sur will feature the top 20 from each category, playing by ranking order, in a stableford format, competing for the final placing in this years circuit. At the moment I am sitting 11th in category 1 and 12th in the scratch so am eligible to play in the grand final. This is the first year I have competed in the full circuit, missing only one match, I have found that the comradeship amongst the competitors fantastic as we all get to know each other moving from one tournament to the other regardless of nationality or language ( as not too many speak Scot’s ) . The organisation at each course has been first class with all the score cards and handicaps being done in a professional manner. 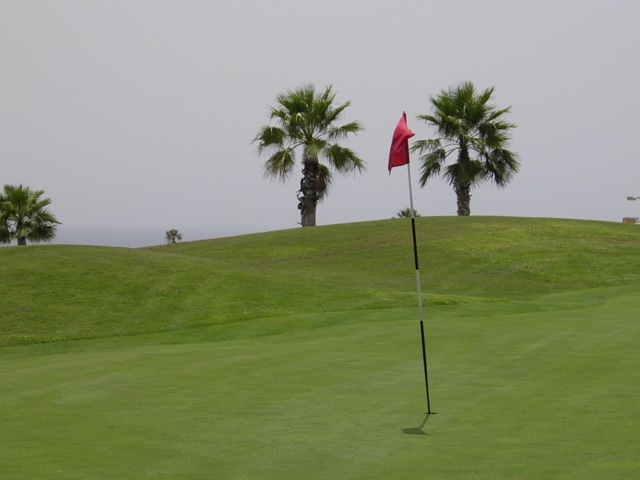 The sponsorship from all the participating companies has helped put the circuit into the position of the number one golf tournament in the Canaries. If you are participating in the “Grand Final” The cost will be 50 € per person. 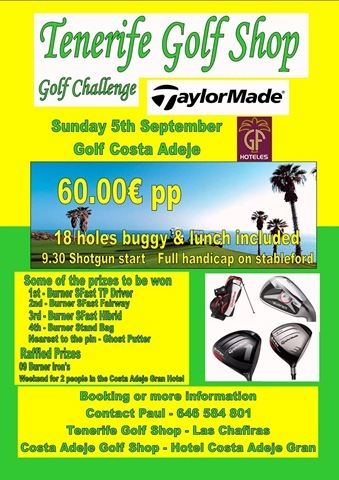 The Wild Geese Charity Golf Competition In Aid of OROBAL Children’s Charity based right here in Tenerife. This is one competition I would hate to miss, not only is it great fun day but you are also helping a super charity. Buggy, Prize, Charity Donation and Buffet is 60 Euros. Buffet in Wild Geese from 7.00pm followed by presentations. 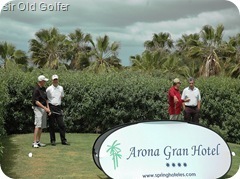 Spring Hotels announce that their annual Golf Tournament will take place on the 25th September at Golf Las Americas. This is the third tournament organized by Spring Hotels and judging by previous years looks to be a top class event offering on course drinks and snacks and after the tournament there will be a raffle and presentation of prizes. This is one no to be missed a great day out with some great prizes. Why not make the most of it and enjoy a mini break at Springs’ award winning Hotel Arona Gran with prices starting at just 50€ per person per night on half board. Bookings can be made through our website where we offer 2 and 3 day packages including the green fee for players and accompanying persons. Please let us know your handicap and your licence number (if applicable) by putting them in the booking comments. If you would like to participate in the Tournament (without accommodation) and book the green fee only, the fee is a mere 45€ per person and can be booked directly with the Golf course here. A PAIRS COMPETITION USING STRING (and clubs) ! 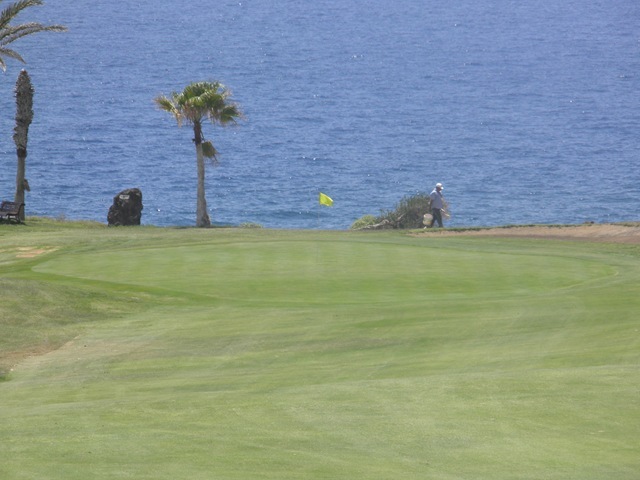 Saturday 21st August 2010 sees the Golf Tenerife and La Gomera Circuit heading to the West Coast of Tenerife and on to the Abama Golf Complex. (Have a look at this website its impressive.) 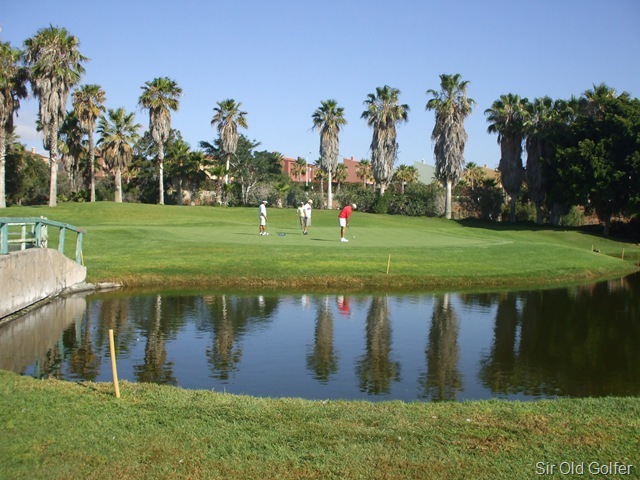 The Abama Golf course is a word class facility and gives players from the circuit the chance to play the course at a greatly reduced price. I love the Abama Golf course with great views, where ever you look, over the ocean towards a Gomera or back towards Mount Teide . 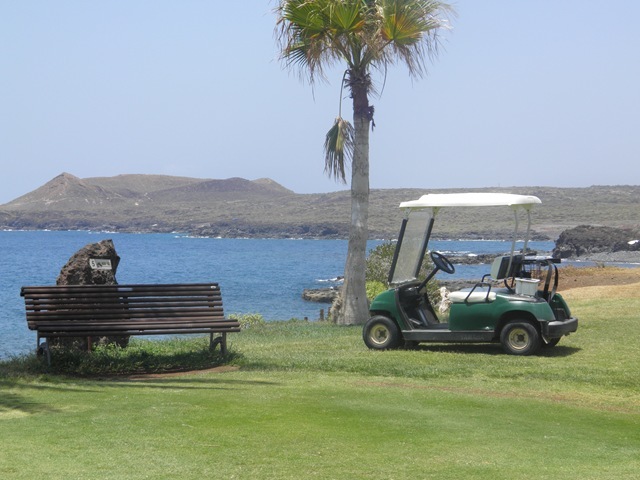 It also has one of he best driving ranges and teaching areas on the island where a friend of mine PGA member Mark Pursey is the head Pro.You will need a buggy to play this course, because of the steepness of the terrain, which is included in the price. This game counts towards the order of merit, I have just scraped into the top 20, so after this one I hope I can make it into the top 10, but whither I do so or not I have enjoyed the circuit immensely this year and met some new and some old friends along the way. The circuit over the years has went from strength to strength due to the work put in by the Golf Association, the courses themselves and the sponsorship of the many Island based companies who all help make the day run smoothly and that all the participants have a fun day out. The circuit this year is also open to both residents and holidaymakers alike and for just 100 Euro you get a round on the Abama championship course with buggy, presentation of prizes, refreshments and a great opportunity to mix with the locals and tourists who both have one aim in common ..to enjoy good competitive golf on a championship course in the Sun.. The John Lowe Golf Classic is now in it’s 6th year at Amarilla Golf and Country Club, Tenerfe…Successive club captains have made it part of their charity, and members have given wonderful support, not only entering teams, but also sponsoring individual tee’s. The day begins with team photographs, and light refreshment, before the team’s head off to their respective Tee’s, at 10am the claxon sounds, and play begins. The format is Stableford, the best 2 scores to count at each hole, drinks are provided on some tee’s, and the refreshment cart is never far away. The golf is fiercely competitive, but also very friendly, at 3pm all teams are back at the club house, and the banter begins, “How did you do” “I hit the pin on the 5th” “If we had not missed so many putt’s” and of course the team who have 90 points, and are quietly confident they are the winners.Everyone is kept entertained by a Spanish group of musicians, and the barbecue gets under way. I won’t be playing as it clashes with the Tenerife Golf Circuit as I am in the top 20 rankings I will be playing the circuit….